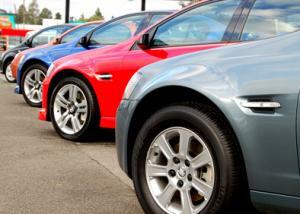 A car dealership in the Wirral has been fined after it was found guilty of selling vehicles on the public highway. Sovereign Cars of Seabank Road, New Brighton was taken to court by Wirral Council after it was found to be leaving its cars for sale on the road outside its premises, despite receiving warnings to stop doing so. The company entered guilty pleas for the two offences when it was observed using the street as an extension of its forecourt, with the instances dating to December 2014 and January 2015. Leaving stock on public roads is not only likely to land a car dealer in hot water with the local council and residents, but it could also cause problems with regards to the business' motor trade insurance policy. The insurance will cover the company's vehicles that are stored on premises; should the stock by left off-site, even if it is directly next to the showroom, then this could result in the cars not being covered by the policy if they are damaged or stolen. According to the Wirral Globe, Sovereign Cars had been visited by environmental enforcement officers several times to advise them against selling vehicles off the highway. Warning letters were also sent in respect of previous offences. Councillor Bernie Mooney, cabinet member for environment, said: “The council receives regular complaints of cars being advertised for sale on the highway. "Some sites cause a distraction for road-users, obscure visibility at road junctions and block lay-bys intended for motorists to visit neighbouring businesses. In this instance, the company involved had been warned several times about its actions but continued to ignore the advice leaving the council no other option but to seek action through the courts." The business was fined £600 for each offence and ordered it to pay £295 costs plus a further £60 victim surcharge.